A hi-performance shape, perfectly adapted for fast and committed surfing. Plenty of volume under the front foot and a deep concave under the back foot make for a well-balanced and deadly efficient shape. 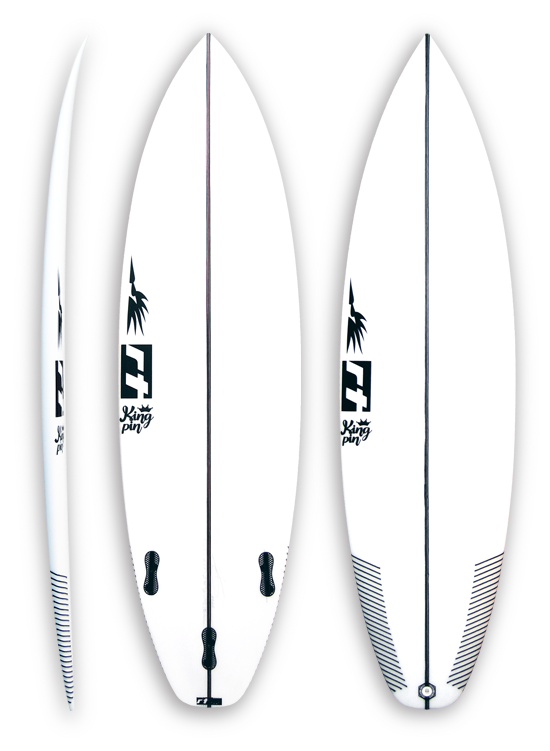 Clean and elegant lines, a healthy amount of rocker and a mild bottom contour, with a single concave blending into a double concave off the tail, deliver great acceleration and plenty of drive when you push hard on the rails. 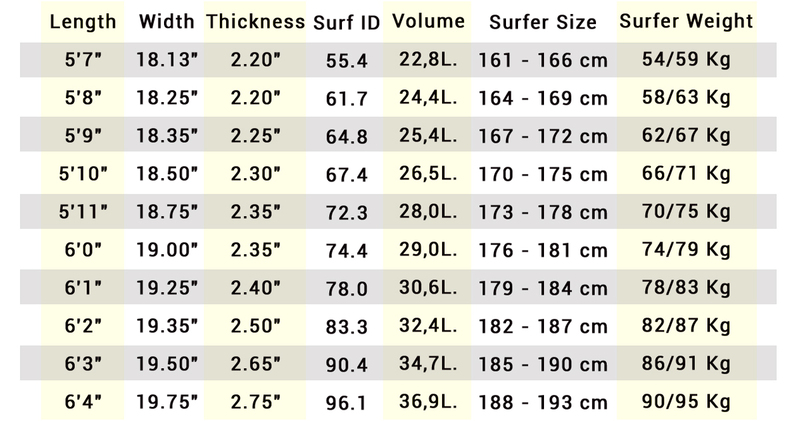 Well adapted to most conditions, this model reveals its best qualities in beach breaks and punchy waves of every size! both front and tail end.